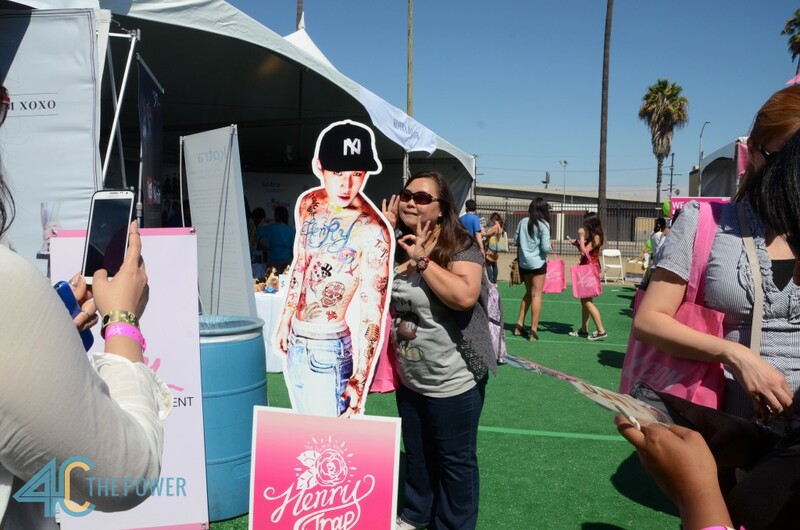 Excited fans from all over came together to celebrate their love of Korean music for 2 days at this year’s KCON in Los Angeles Memorial Sports Arena in downtown Los Angeles (Aug. 24-25). 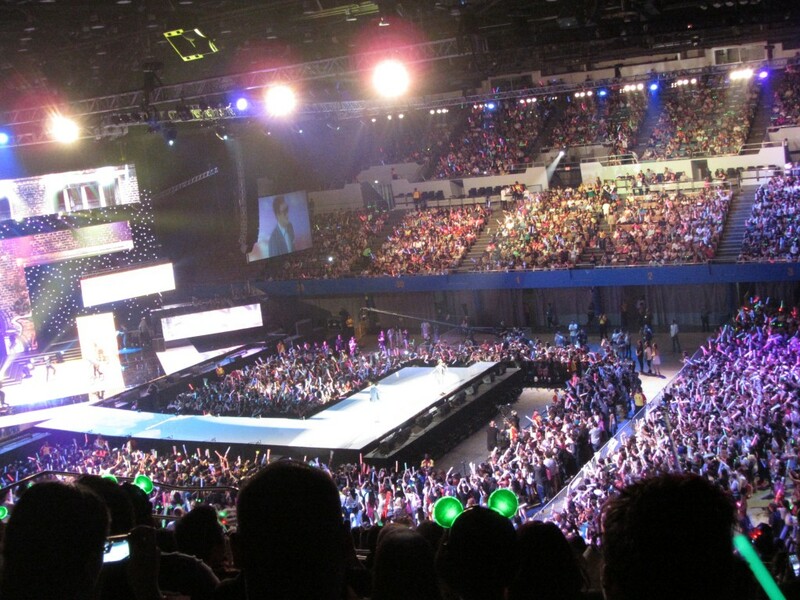 If you’re not familiar with KCON, it is a convention that is dedicated to all things Kpop and the general popular wave of interest in Korean culture. Though Psy’s “Gangnam Style” most certainly brought Kpop up the radar in American entertainment, Kpop had already been a rising interest among many people thanks to their catchy tunes, eye-catching music videos and fashion, and addicting television dramas (which can now be easily viewed on Hulu and Nextflix). Stepping it up from last year, KCON brought even more panels, workshops and artist engagements for attendees to take part in as well as the inclusion of a final concert in the form of one of the most popular music shows in Korea, MNET Mcountdown. 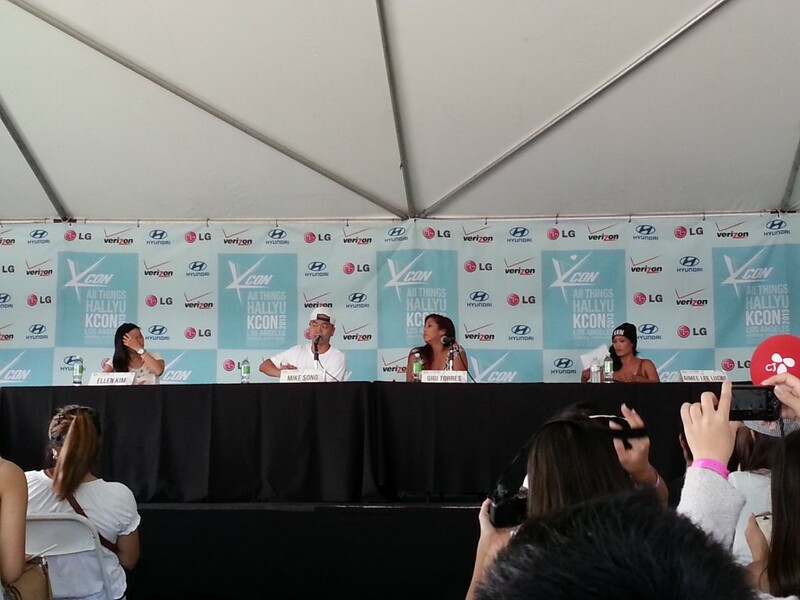 What is great about KCON is that not only does it highlight Asian entertainment but that a big part of it also brings exposure to Asian-American artists and entertainment as well. From dance workshops to food trucks to seeing some of your favorite Youtube artists (and 4C mentors of course) on panels or just walking around meeting fans--even if you aren’t an avid listener of Kpop yourself, from what we saw, there was a little something for everyone. 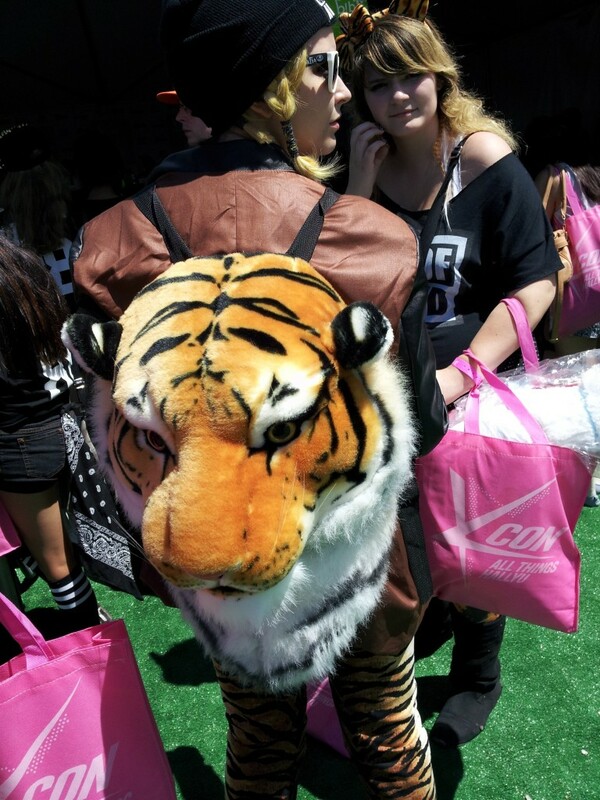 So did you miss KCON’13 this year? Don’t worry, here were some of the highlights you missed and what you can look forward to for next year! Though the food vouchers provided by KCON weren’t exactly the best system (it would be better without the coupons at all), the actual collection of food trucks that showed up was quite exciting for anyone who have always wanted to try a certain food but aren’t always able to go to the different locations. 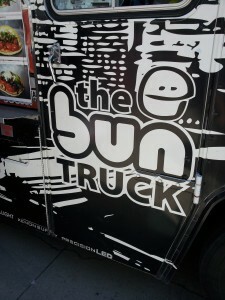 Notable favorites for our team included The Bun Truck, Seoul Sausage, and Fluff Ice! 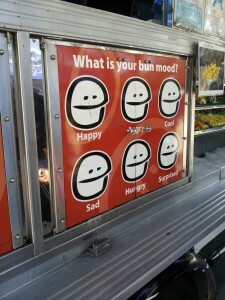 The Bun Truck - Known for their delicious Korean style meat in fluffy white bao buns (BAO BUNS! ), we had to try it for the concept alone. So not only is the concept good, we discovered that the food was just as good as we thought. 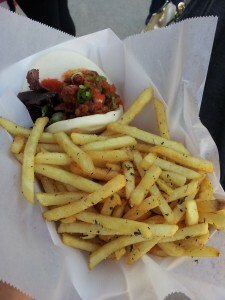 The dwaeji bun with a side of duck fat fries were a yummy pair. The fries definitely stood out in all their garlic rosemary duck fat glory. Trivia: Are you a fan of The Walking Dead? This truck is co-owned and operated by Steven Yeun’s (Glenn) younger brother, Brian Yeun. Seoul Sausage - Some members of our team have been wanting to try this for some time now and it did not disappoint. We don’t want to hype this up for you but all we’re saying is that you have to try it. We got the regular galbi sausage sandwich and it was so good and seemingly simple but genius at the same time. You’ll wonder why you haven’t had this earlier in life. Trivia: Did you know they won the Great Food Truck Race on Food Network? Fluff Ice - The savior of the weekend. We won’t lie to you, it was a hot two days, but get a shaved ice at Fluff Ice and you’ll feel much better in the blazing afternoon. The Thai Tea fluff ice was tasty and refreshing and only made us want more. 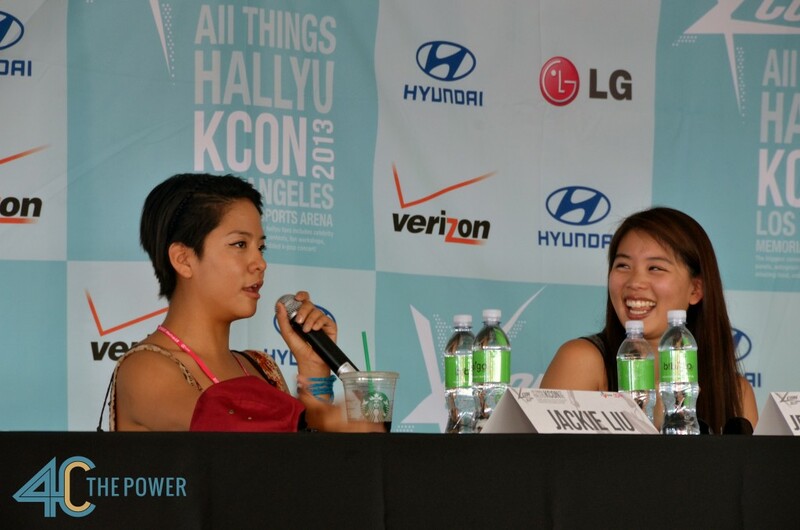 An integral part of any convention, the panels at this year’s KCON served to provide insights into many of topics of interests among fans. 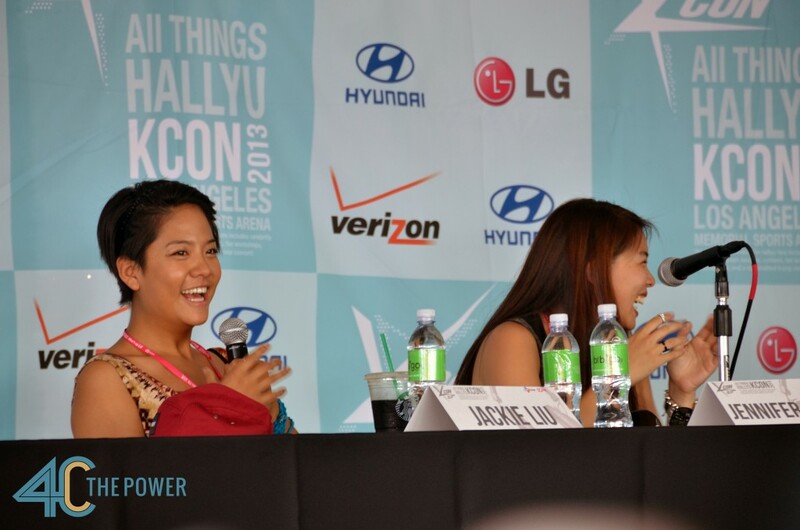 The panels this year included: The World of K-Drama, Asian Americans in Hip Hop, Vintage Kpop, Successful Asian Americans in Entertainment, How I Became A Kpop Choreographer, Making Kpop Work in America and many more. 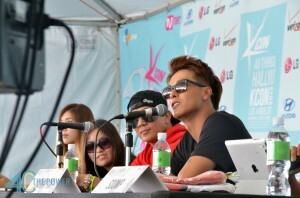 - Panelist discussed the idea of how Kpop can make its way into the US mainstream market. - The reason why KPOP is predominantly accepted/popularized in Asia is because ultimately, the fans and the money are there to fund promotions in comparison to those of us in the US. - Steven Lee (representing CAA) talked about how he connected with Anna Kendrick's agent in hopes of doing some kind of kpop collab for the Funny or Die video. He also got in contact with numerous Korean companies, which some would only accept the collab if a certain artist like Brad Pitt was going to be featured or a certain amount of money was to be obtained because it. - Personally, for someone who doesn’t have a dance background, I was really happy to be a part of the audience since I’m a fan of them/their respective dance crews old and new. - Ellen and Mike’s kpop and dancing background dates from the H.O.T days and even though they fell off kpop, they eventually reunited with it and gained great experience from it. 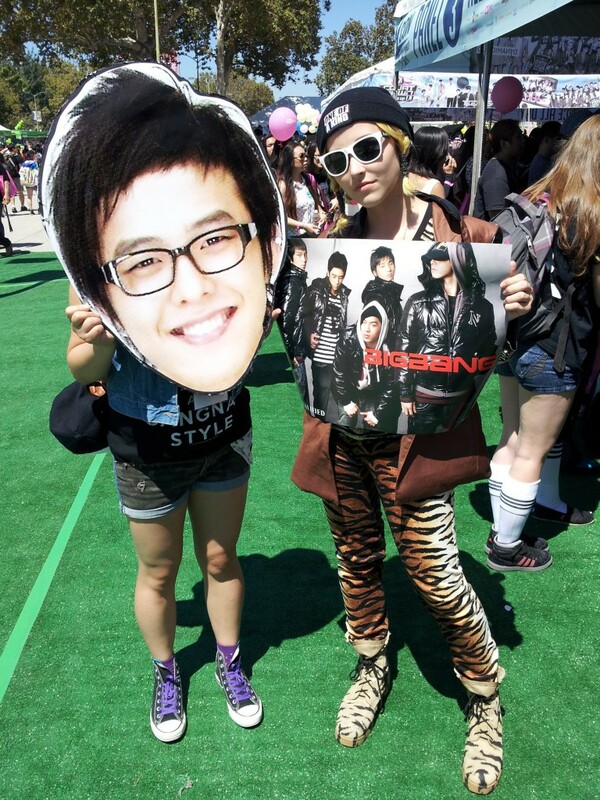 - Gigi’s and Aimee’s introduction to kpop was just like any other non-Korean’s experience – it was different, but it has a way to reel you in. - Their display of friendship, especially coming from the same dance community was pleasant and inspiring, for they help each other out. - Their praises for kpop fans was absolutely heartwarming and their evolution as dancers serve as motivation for those who wish to become successful in the dancing area. - They are living proof that anything is possible and that what you want to happen can happen if you play your part; put yourself out there and be yourself. Be an individual. - Also, this panel says a lot about how dancing is another aspect of how universal music is and is a bridge for great opportunities in Life. - Their stories took us back to how kpop idols ‘started’. In comparison to current idols’ struggles, privileges, and ‘amenities’, I personally think that they’ve had it harder, especially not being fluent in Korean. 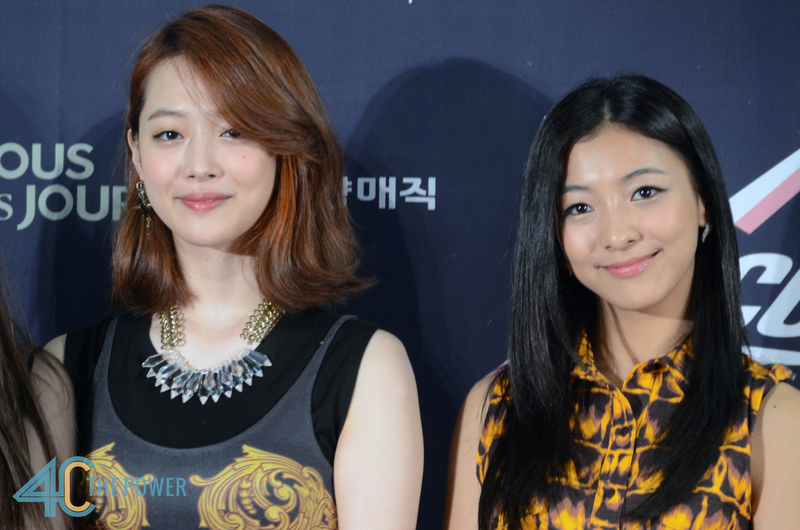 - All 3 have similar taste in current favorite artist/s in the kpop industry. 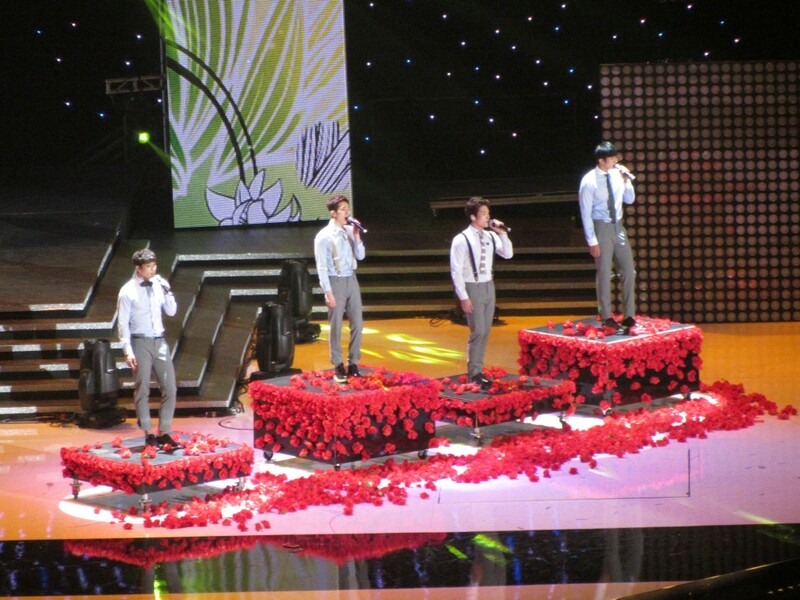 - The way they talked about how they miss performing also made me miss 90’s and early 2000 kpop. - Both are alike to their respective sibling. - They shared stories about how their siblings got into the industry and the hardships they went through and also how close their relationships are. - The funny/embarrassing stories about their siblings were entertaining and at the same time, it’s a reminder that idols are human too. - This panel was one of the most fun I’ve been to! Looking for love? 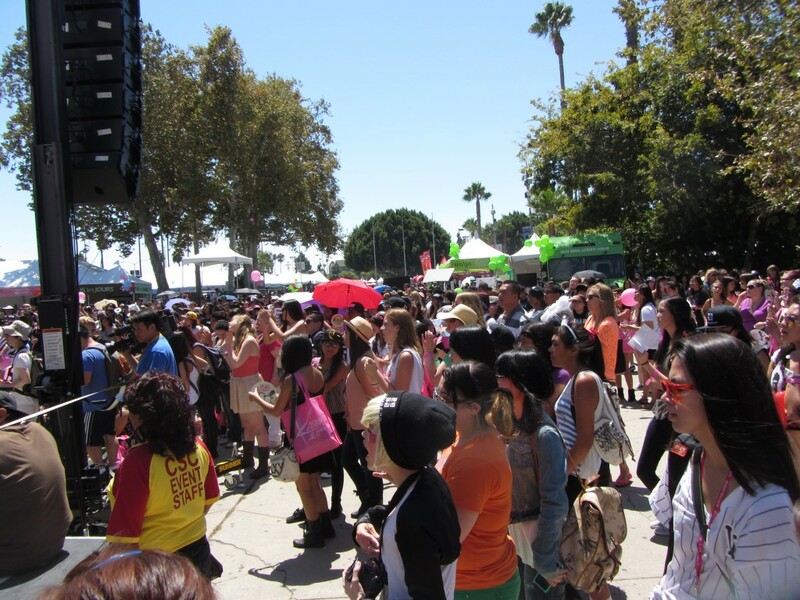 KCON had a special workshop for you called “Love Connection: Speed Dating Hallyu Style”. Yes, it is exactly what it sounds like and it was actually a popular spot. From what we hear, it was a lot of fun. If that’s a little too intense for you, you could’ve tried the “Anyone Can Cook Korean Food” workshop instead! Food is love, too. In our past 4C workshops we have seen that that dance is definitely a passion of many and one of the most popular workshops to take. 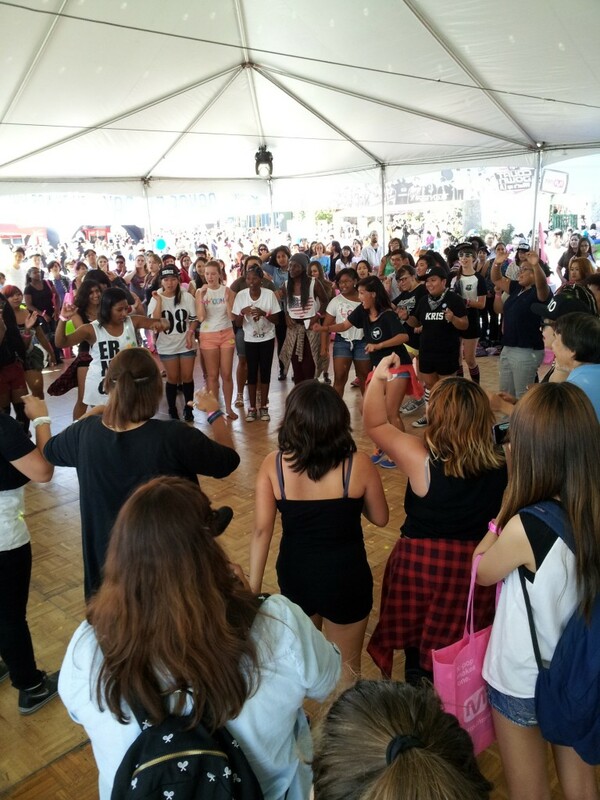 This year one of our mentors, Aimee Lee Lucas with her MVP crew once again provided the dance floor for many dance enthusiasts wanting to learn the choreography of their favorite Kpop artists or to come out and freestyle in the tent that everyone wanted to check out. From a Missy Elliot mix to the AMN Star Auditions, you could opt to stay at this tent all weekend and have tons of fun. The energy at the Dance All Day tent could be felt as soon as you stepped in and watched people break out their best moves and bond over their shared passions. The line-up for the Sunday concert included: 2AM, DJ Koo, Dynamic Duo, Teen Top, f(x), Heejun Han of American Idol, Missy Elliot, Yu Seung Woo, Exo and G-Dragon. Special guests and panelists included: Henry, Bekah, Jess Bernat, Mike Song, Danny Im of 1TYM and DFLA, Will Yun Lee, Dumbfoundead and more! Fans had opportunities to engage with their favorite artists through meet and greets, fan engagements (like mini press conferences) and panels scheduled throughout the weekend. As simple as his white cut-offs, beanie, jeans, and sneakers look was, the way G-Dragon carries himself made that outfit look as classy as a tux. The fans sung the birthday song for him, which he warmly accepted, with hands clapping as they sung to him. 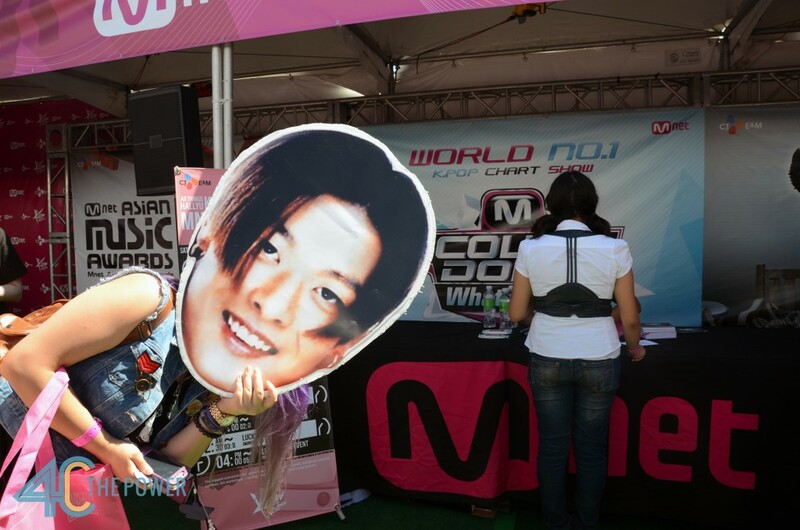 At the center of the convention area, MNET set up a stage to entertain attendees with special performances, a cosplay masquerade and the taping of MNET’s Danny From LA. 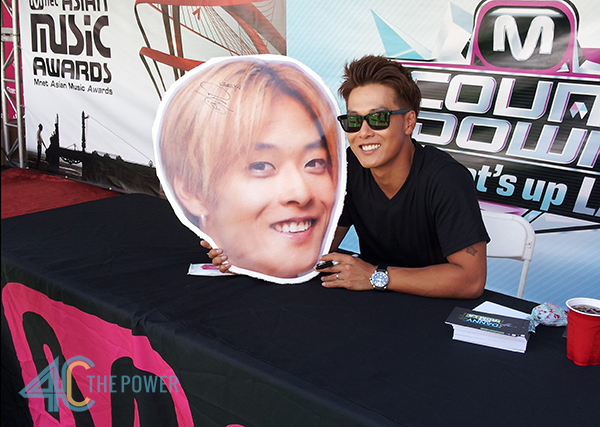 Danny (1TYM, MNET Mcountdown America, MC of KCON 2013) and alongside with his co-host Kevin Shea (Comedy Central, Jimmy Kimmel Live, HBO, NBC), give the scoop on Asian pop culture, entertainment, music and more. On and off camera, Danny and Kevin talked and laughed with fans who stood in the hot sun to watch the taping of the show. Shin-B getting the crowd hyped up. 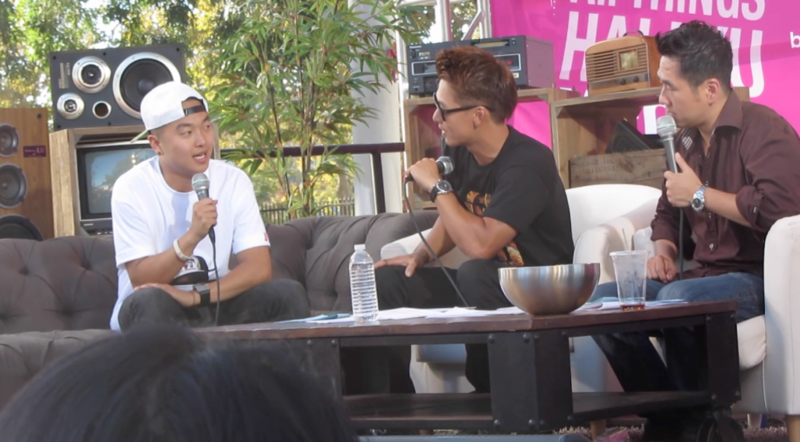 Taping of DFLA took place on the main stage with guests like Bekah, Henry, Mike Song, and Dumbfoundead. Bekah, formerly from the girl group After School, talking about her upcoming US debut. Mike Song revealing upcoming projects such as creating choreography for a CG movie. From the VIP section to all the way up to the cheapest seats, the much anticipated concert looked to be quite enjoyable from all areas. 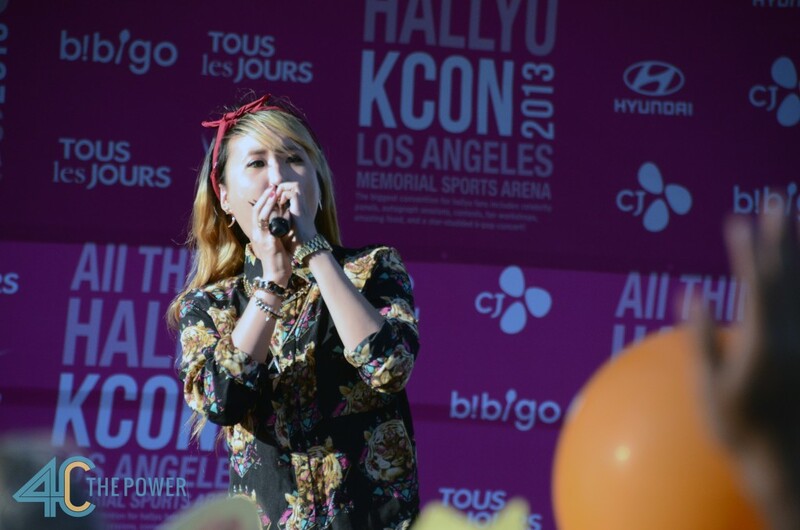 Even after a long hot day, fans were screaming and singing along with their beloved artists from beginning to end. At some moments you’d think that the top of the arena would just bust open from all the energy. Although all the artists gave wonderful performances, a bonus treat came with the special collaboration with G-Dragon and Missy Elliot who emphasized once again that music is truly universal. 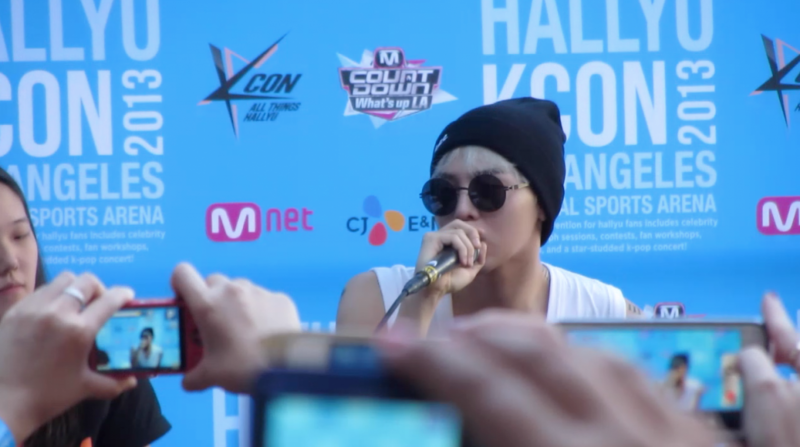 Fans at KCON were lucky to have been the first to see and hear the debut of a new track “Niliria” from G-Dragon’s sophomore album, "Coup D'etat," featuring Missy Elliott. 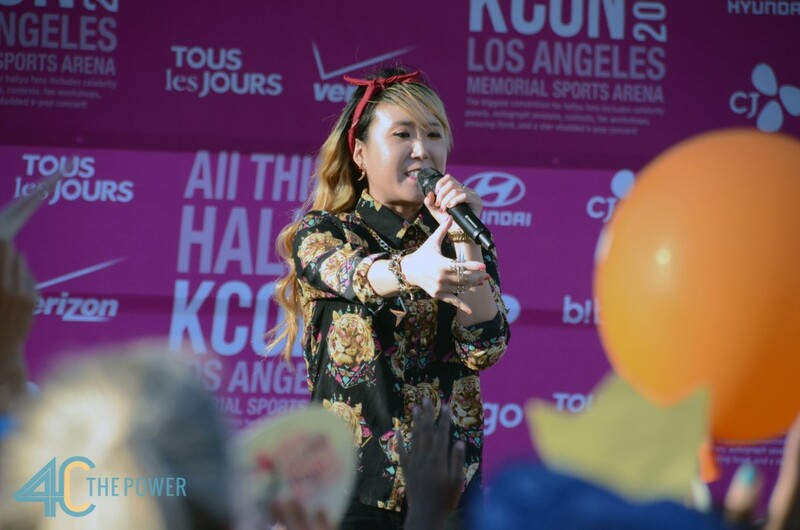 Though KCON was very successful and many appreciate what they are trying to do, there are still many things this event can improve on - such as better organization of the rushed fan-meets, more panels (that aren’t far away and hidden), removal of food coupons, and a better synchronization between staff, volunteers and security. As this is only the second year of this convention, we see that there is much potential in it becoming bigger and better with every year. As long as there are fans who want it, and can continue to give feedback to MNET, there will be KCON. We look forward to seeing what they bring to us for next year! Stay tuned for exclusive pictures and video coverage/interviews! Pictures by Jennifer Cortez & Jerilyn Guerrero.